VANCOUVER -- It was a mid-century effort to launch Vancouver into the modern age -- an elevated roadway made up of tonnes of concrete cutting through the city's shiny downtown core to serve the almighty automobile. The failed attempt ultimately became a saving grace. After the colossal Georgia Viaduct was built in 1972, a grassroots uproar stopped the construction of what would have been a multi-lane expressway. The City of Vancouver voted last month to tear down the twinned bridge while discussion continues over construction of a new street network below it. Other Canadian cities are also contending with their own white elephants of infrastructure -- vestiges of the freeway-building craze in vogue during the 1960s and '70s that inspired public uprisings. "It's not overstating it to say that it was citizen protest against the plans for those expressways that had a lot to do with the salvation of Canadian inner cities," said Christopher Leo, professor emeritus of urban planning at the University of Winnipeg. "We have every reason to be really grateful. The fact that we still have viable downtowns has a great deal to do with the cancellation of those schemes." Leo said the particular brand of planning logic originated in the United States as part of a Cold War project aimed at protecting America from the Soviet threat by extending a reliable transportation network across the country. "Part of the idea of it was that you wanted to build overpasses high enough that you could run tanks under them," he said, though that initial reasoning served less of an impetus in the Canadian experience." Across the country sits another such example from the era -- the Cogswell Interchange in Halifax, built in the post-war suburban boom of the late 1960s. The so-called Road to Nowhere consists of a swath of interlinking overpasses and roadways occupying about 6.5 hectares of prime ocean-side real estate. It was to have linked up to Harbour Drive, a proposed six-lane expressway wrapping around the city's idyllic waterfront. Protests over the demolition of 150 historic properties quickly put a stop to the project, but not before the sprawling concrete behemoth was built. "For 40 years, the interchange has stood as a remnant of a bygone era of thinking and, in many ways, an albatross around the city's neck," wrote a Halifax-based planning and design firm in a report commissioned by the city. Urban-planning academic and former Vancouver politician Gordon Price described how the freeway fetish that characterized the mid-century saw transportation logic initially intended to link municipalities together mistakenly applied within city limits. He said the move threatened the urban fabric of downtown cores. "You actually have to destroy the idea of the city in order to do it, because cities are deliberately designed to be areas of interaction and congestion," Price said. "That's the point of them. People come together to trade, to interact, to exchange, whether it's goods or money or DNA." The wrong-headed planning approach was never ultimately killed, he said, but died off through "suffocation" as the federal and provincial governments gradually backed out of funding commitments. Toronto's oft-maligned Gardiner Expressway is another example of a curtailed Canadian freeway project. However, its marginal usefulness in managing some traffic has turned it into what Leo described as "a really big and knotty political problem that nobody seems to know the answer to." 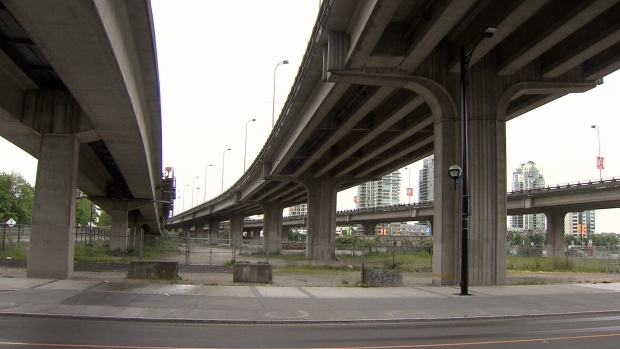 Vancouver's former chief planner Brent Toderian used the term "almost scandalous" to describe the lengthy debate over the Gardiner's future, adding the public money spent on the issue amounts to failure. "It's a political decision," he said. "It's essentially incontrovertible city-making evidence running up against politics." Toderian said that as cities such as Vancouver and Halifax re-imagine their downtown spaces, they face "possibly the most powerful city-making moments in the Canadian urban landscape." "These opportunities are too important to squander with even an average result," he said, citing Montreal's Bonaventure Expressway as another example that amounts to a white elephant of infrastructure from the past. "It starts with tearing them down," he said.